New Travel Policies – Make your plans now! Hi moms and dads! 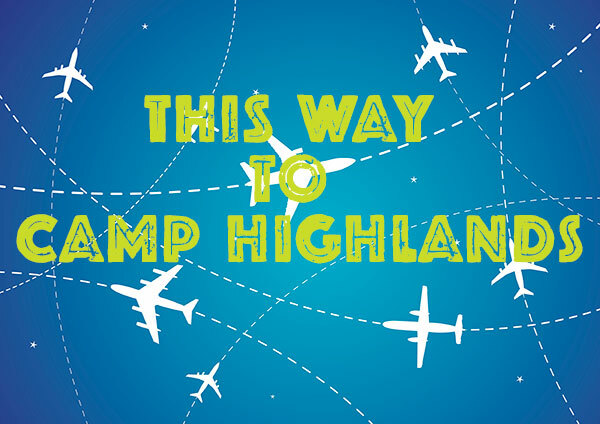 It’s about that time that you start making travel arrangements to camp. Most things are staying the same. If you are in the Chicagoland area and your son rides the bus, nothing has changed. If you are flying into O’Hare from the East coast or somewhere in the Midwest, nothing has changed. If you are flying from: the West Coast, Florida, or Mexico or from outside of the US – things are changing! We prefer that if you are at all able, your son should ride the regular bus that departs at 10:00 AM on Sunday morning. (Sunday June 22 for first term or July 13 second term). This way he arrives at camp before it gets dark and can eat supper and participate in all the first night activities. That means if your son flies to Chicago, please have his flight arrive no later than 9:00 AM. However, it’s become increasingly difficult for people to obtain flights to O’Hare that arrive before our normal 9:00 AM cut off time. We can no longer host boys overnight in Chicago on Saturday night – BUT – we’ve hopefully come up with a solution that is even better than that! All camp travel will now be on Sunday June 22 for first term or July 13 for second term. To and From Mexico: Flights from Mexico must arrive by 11:30 AM on Sunday morning. We will have a staff member meet them at the gate as usual and then take them to the chaperoned charter bus that will depart at about 1:45 PM, once everyone has cleared customs. There is a United flight 474 that departs MEX at 6:30 AM and arrives at O’Hare at 11:33 AM. It is ideal to have them on this flight. We can no longer pick campers up on Saturday night and have them spend the night in Chicago. West Coast of US, Florida, or from outside of the US: All flights MUST arrive by 11:30 AM. Boys will ride on the 1:45 bus with our international campers. Please advise us of your travel plans by filling out the travel module on your child’s forms online no later than June 1, 2014. Saturday, March 8, 201410 a.m. – 11:30 a.m. Whether this is your 39th season, you’re enrolled this summer for the first time, or you are just looking for more information about CH, we’d love to see you there! This is a fun and easy way for you to introduce some of your friends to the world of Camp Highlands, so bring a guest with you. You can link to the Facebook event page and share it with your friends.